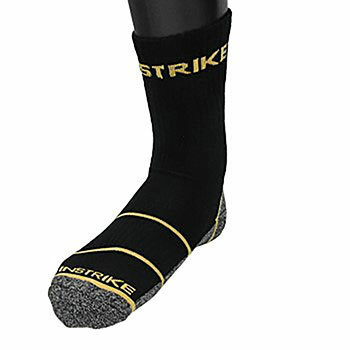 Instrike sky functional skate socks - The functional sock gives you a blessing feeling. The sock disposes two different weaving techniques. On one side the LoopWoven technology, which has absorbing features on the bottom of the foot. Apart from that the thinner strand on the dorsum of the foot gives you excellent humidification features. Odors get avoided due to the HighBreath Fabric Technology on the ball of the foot and make sure that your shoe stays dryer during sports and daily routine. The TightyWoven Technology gives you a tighter fit without disturbing you. Now you can be more focused on your game!